Nailstyle: I need your help!!! Please can I ask you to have a look at my entry in the BundleMonster nail art competition on Facebook and vote for me!!! I'd really appreciate your voting for me. Thanks so much!! I loved this the minute I saw you post it!!! Lovely job! Very beautifully done. Love the Rhinestone details. I went in and voted for you! Good luck...hope you win! Thanks everyone - there are lots of great entries! That's so sweet of you - thanks so much! 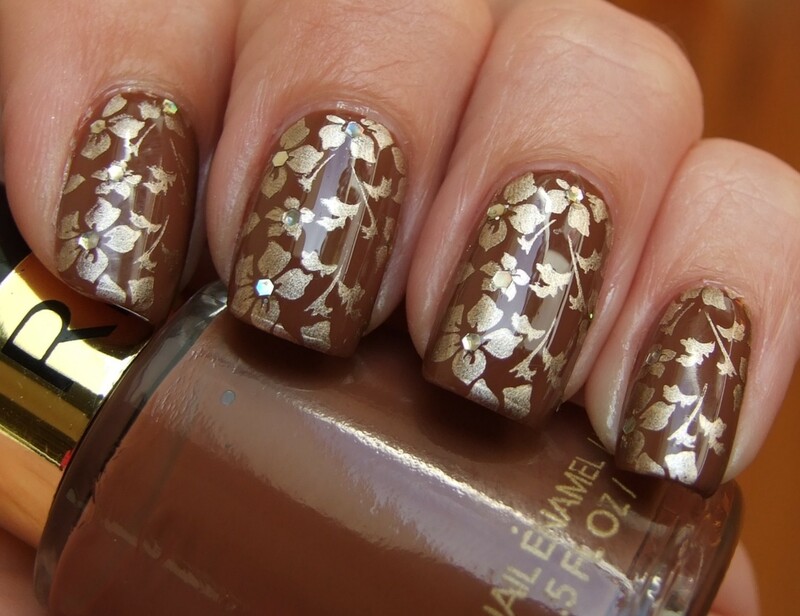 I love the rhinestones as the center of the flower! Beautiful!